The timer on my iphone was set to 16 minutes. I hit start and it began counting down. My belt sander went to work on the piece of walnut. Slowly it began to remove change the board’s face from rough cut to a smooth surface. I focused on even strokes back and forth and let it do the work. When the deep cuts were mostly gone, with seven minutes remaining, I switched to my mouse sander. The mouse sander did a nice job with various grits for the remaining 7 minutes. The follow three images are, rough, low end sanders, Festool 150. When I wiped both sides off and compared, I was not surprised that the side which had been worked on by the Festool 150, was much nicer. The side that was completed with my low end sanders was still rather good looking. 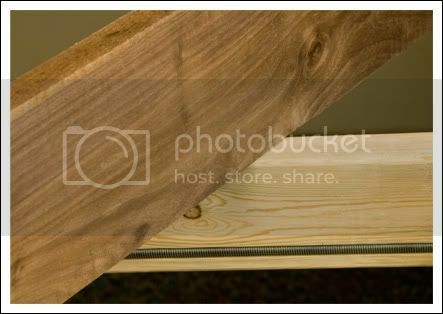 I would say that I have several hundred board feet of very handsome walnut. So what did I learn? I learned that the expensive tool is quieter, somewhat faster, and performs a level that is superior to what I have now. This is not at all surprising. The real value is getting to compare my current capabilities with what is possible and then to assess how that relates to the project I am working on now. When I think in those terms, I come to the conclusion, that at this moment, I am not going to spend the money to buy the Festool. Is this my final word on the Festool sander? No, not at all, as there will come a day, when I am building another project, one in which I desire a higher quality result, that I will likely revisit the issue. It was suggested that I read some of the reviews on the Lumberjocks site. This was very helpful. 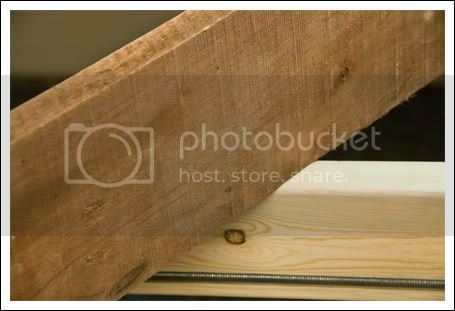 So I gained a bit of experience about sanding and really enjoyed seeing how beautiful all the wood, which is stacked in my basement, really is. It should be no surprise to anyone that 16 minutes of woodworking is not nearly enough. I have begun gluing the 22 inch pieces of hard maple together. The first set of 4 that I slathered Titebond on, were tricky little devils. Who knew that glue could be so slippery? Actually, I would imagine that most woodworkers knew that, but for me it was something new. The best part about the first glue up was that after I had clamped them together, I noticed that the first board had ridden up a bit. Did I panic? No, I put the glued up section in the cauls I built. I tightened the cauls up and the little bit of unevenness disappeared. I was very proud of my little cauls, performing their job so admirably. The process of building the top for my router table will move slowly, as I only have enough clamps to do one set of boards at a time. That is ok, as I am such a novice at gluing up stuff, that doing them one at a time, will allow me to learn with each set. As with each other skill in woodworking, it just takes practice and repetition to get good at it. Or so I would imagine. Every time I try something new, I get very excited and it makes me happier than a cat who has won a bid on EBay for a giant ball of yarn. A little tip that can help speed up the gluing process when you have limited clamps: Even though the glue needs to set overnight to fully harden, you can generally take the clamps off after 15 minutes and begin work on the next set. -- Don - I wood work if I could. Redmond WA. Sorry Don but I think 2-3 hours perhaps. there are other considerations such as humidity and temp. I just glued an 11 inch wide section of bench top. I was in the clamps for >96 hours and the boards it was siting on had wet glue when they were removed. I appreciate the tips. The bottle says that I should wait 30 minutes. The humidity in my basement, because I use a dehumidifyer running all the time, is very low, that and it being winter, so that is good. I let my first one sit for 4 hours, because there was a post gluing nap. It seems like it did pretty well. I may test other times tomorrow. If I take the clamps off too quickly, I suppose I can always reglue. Either way, I appreciate the help. Mmmmm…. Walnut, yarn, naps…. mmmm. Several hundred board feet of walnut, in your basement. That’s like living inside Fort Knox! Oh, your test may be invalid because there’s just no such thing as bad walnut. Hey Outputter….I think I am off to take a nap now myself. Thanks for leaving a messsage. I enjoy meeting and chatting with people who follow my rambings. I have a DeWalt drill, which has been nice, and a Bosch routher. I agree, they are good companies too. I have also read a lot of fine reviews about Milwaukee products. Thanks again for stopping in and saying Hello. Suggestion: IMNSHO, Too much sanding. I better way to process rough wood is through stages of planing, scraping then sanding. In the end you’ll have a better finish with less dust, less noise and less expense. On most of my projects, I only use a little hand sanding at the end of the planing and scraping – no power sanding is required. On small pieces, such as my plant stands and accessory tables, I may use NO sanding at all. Note: My “shop” is mostly outdoors. I have an indoor studio, but a major part of my philosophy it to work outdoors. I have outdoor electrical outlets for my studio building, when I need electrical power. All of my power tools are on wheels so that they can be moved outside when needed. However, I am mostly a hand tool worker. Sanding outside allows nature to assist me with dust removal. Gentle Kentucky breezes dispose of my sanding dust just like they did for Grandpa – weather permitting. Excellent Diagnosis. I will eventually have a planer, some hand planes, and a few scrapers. When I do, I will use them, and do exactly what you are presscribing. As always, I enjoyed reading of your excitement with the hobby. I am, however, a little concerned about the “cat who has won a bid on EBay for a giant ball of yarn.” Have my cats been PMing you for advice again? I think that it is time to check my credit card activity and start logging out of LJs when I leave. I can neither confirm or deny any correspondence between myself and your cats. Woodworking is a journey, not a destination. First of all… Great blog. I never miss an entry. That being said, I do not always read all the replies so please forgive me if someone else has already made this point. You were absolutely correct when you quoted in your last post “you get what you pay for”. This is not only in reference to the results you see from high end tools, but also the overall life of the tools. In general, high end tools, especially Festool, have been proven to be of better construction than less expensive tools (Skil, Black & Decker, etc.). I’ve learned that the hard way. I’ve also seen articles in woodworking publications with specific differences in construction material listed. Sorry I can’t reference the exact magazine, but I’m sure a Google search with locate it easily. Anyway… that’s my two cents. Just remeber that a B&D sander may produce similar results as a Festool sander today, but 5 years from now the Festool sander will most likely continue to produce these results while a B&D sander may very well be at rest in a landfill somewhere. Thanks for the kind words on the blog. I think you have made a valid point. I agree that paying for quality is the least expensive route in the long run. 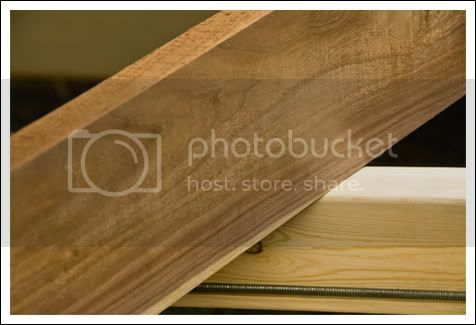 It is obvious from your avatar picture that you are some sort of woodworking secret agent. So I understand that you can’t ‘break cover’ and post a response to the blog more frequently. It is nice to know that you are out there though, keeping us safe from those hobbiest to who are into scrap booking. They are a sneaky bunch.